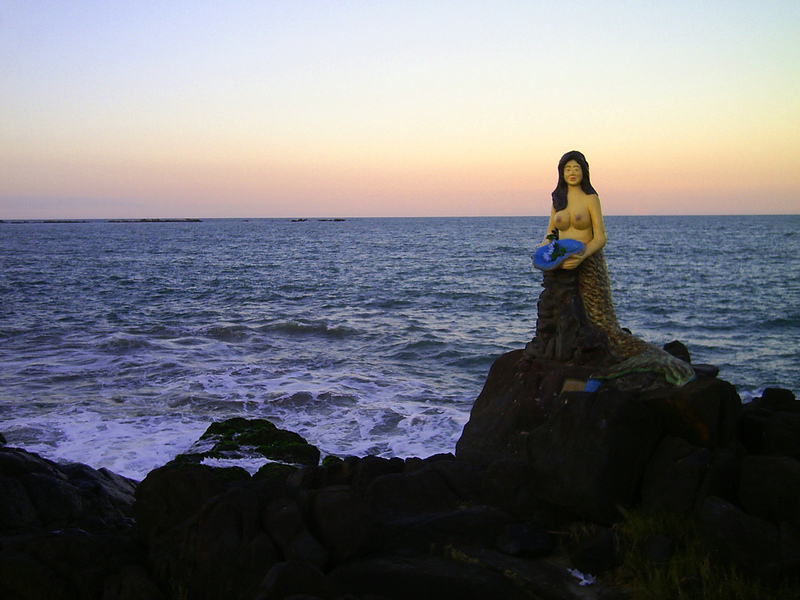 Mermaid statue in Barra Velha. Photo © by Elaine Schug. It was made by José Cristóvão Batista in 1990. The statue holds a giant clamshell, and can often be seen with items offered in the shell. 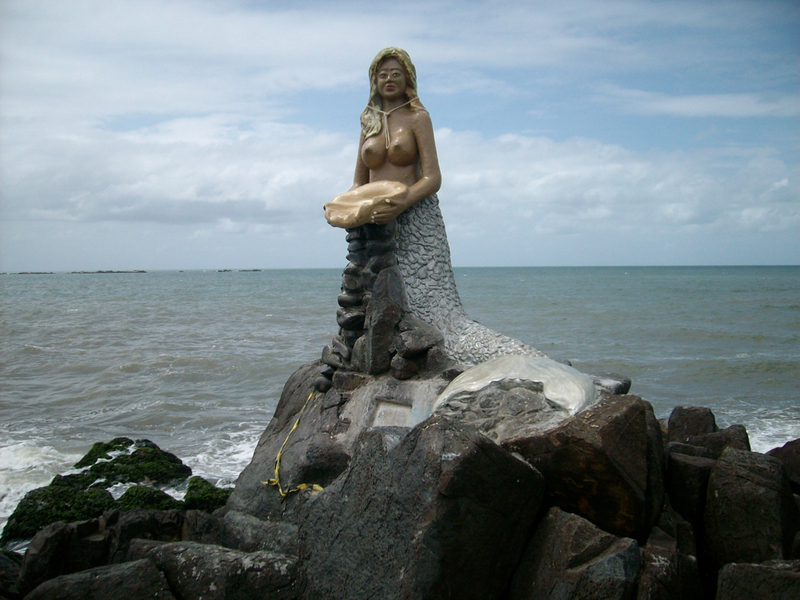 Mermaid statue in Barra Velha. Photo © by Valmir Vieira.